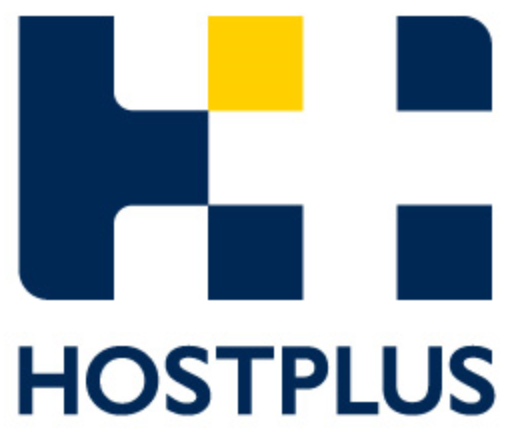 Want to know more about HOSTPLUS? We’re the industry superannuation fund for the hospitality, tourism, recreation and sport industries. We’re passionate about providing our members and employers with the best possible products and services and are constantly looking for new ways to give our members better value. That’s why HOSTPLUS is different. And different must be good because we’re one of Australia’s largest super funds. We have one million members, 90,000 employers and around $17 billion in funds under management. Aristocrat is a leading global provider of gaming solutions -world-class software, systems and hardware that consistently out-perform the competition. Aristocrat's products and services are available in over 55 countries around the world. Secom Technology is an IT services company supporting small-to-medium sized organisations and the club industry throughout Australia. We are committed to providing you with fast, professional and courteous service. ALWAYS! Ainsworth Game Technology prides itself on its leading animation and programming expertise and creative thinking to deliver innovative and superior gaming solutions to the gaming industry. For more than half a century, the Ainsworth name has been synonymous with the gaming industry. In 1995, Len Ainsworth founded Ainsworth Game Technology with a commitment to become the leading manufacturer and supplier of gaming solutions. IGT aims to deliver a strong and diverse product mix to satisfy all player and venue types. IGT is sharply focussed on customer business through professional sales, marketing and customer service personnel as well as an experienced and dedicated Service Plus team. Russell Corporate Advisory is a financial consultancy firm that provides the expertise, information and analytical framework for sound decision making. RCA works closely with boards of directors and managers to create a blueprint for building business success. RCA services include strategic planning, profit improvement, operational reviews, feasibility studies, amalgamation and solvency advice, workforce restructuring, and asset management (best use of surplus/non core assets). RCA also provides expert guidance on funding requirements, budgeting and cashflow analysis, financial submissions and corporate governance, marketing strategy and business development. RCA's latest product - Business Intelligence Management (BIM) - will assist clubs to maximise profit potential. Scientific Gaming, Inc. is a diversified, worldwide gaming company that designs, manufactures, distributes, and operates gaming devices and computerised monitoring, accounting and player-tracking systems for gaming devices. The oldest slot manufacturing company in the world, Scientific Gaming was founded in 1932 by Raymond T. (Ray) Moloney. Scientific Gaming is credited with many technological milestones such as the ‘bottomless hopper’, the first fully electronic reel-spinning slot machine, and the world’s first electronic slot management system – SDS. Scientific Gaming creates and produces a variety of technologically advanced gaming products and systems that can be found in more than 600 gaming locations worldwide, including Australia. Scientific Gaming's long-term commitment to the Australian market is real with significant human and capital investment to deliver the best gaming and systems products, including a game development studio in Sydney. Carlton United Brewers is a premium, global, multi-beverage company delivering a total portfolio of beer, wine, spirits, cider and non-alcohol beverages.CUB products inspire global enjoyment and are enjoyed by consumers all over the world.CUB makes and markets Australia's most famous beer, Foster's Lager, and produces premium wines such as Wolf Blass, Saltram, Beringer, Matua and Chateau St Jean. Foster's Carlton & United Breweries brews Australia's leading beer brands including Victoria Bitter, Crown Lager, Carlton Draught and Cascade Premium Lager. maxgaming is Australia’s largest gaming services operator, providing monitoring and value add services such as wide area linked jackpots in NSW, Queensland, Victoria and the Northern Territory. maxgaming is focused on developing and delivering gaming solutions for venues of all sizes. We employ approx. 6,700 people across Australia and New Zealand predominantly and take great pride in our local manufacturing footprint, which spans 34 sites – including milk, specialty cheese, yoghurt and juice sites, dairy farms and large breweries, craft breweries, wineries. ‘Lion Beer Australia is one of the largest brewers in Australasia bringing together four large and many small breweries across the country. Today, Banktech Australia own and manage more than 15,000 terminals across the banking, hospitality and gaming industries in Australia, South East Asia and India and process over A$1 billion worth of transactions a month. In recent years we’ve grown and diversified our portfolio of products and services to include an innovative range of cash redemption terminals, and under-counter and intelligent safes. We bring new products to market by listening to our clients’ needs and finding innovative solutions to their challenges. We’ve now been adding value to businesses for more than 25 years. Our company’s success can be attributed to a dedicated team that takes pride in what they do, only delivering “tried and tested” technology and a culture of honesty and respect when dealing with our clients and suppliers. Our recent acquisition of Global Gaming Industries provides Utopia with a well-established gaming system platform, offering a range of gaming, analytical and loyalty systems, with a dedicated team to continue to develop new products and services for the hospitality and gaming industry. Thomson Geer is an expert provider of legal services to the Clubs industry, working with more than 60 major clubs and industry associations across Australia. With offices in Sydney, Brisbane, Melbourne and Adelaide, Thomson Geer is the only national law firm to have a dedicated Gaming & Leisure Group specialising in acting for the Clubs sector. We can assist with registered clubs, liquor & gaming law, corporate governance, dispute resolution, all aspects of property development, conveyancing, leases, licences and commercial projects, amalgamations and workplace relations and anti-discrimination law. Keno is a fun, easy game that is played approximately every 3 minutes. 20 numbers are drawn from the 80 available on the Keno game screen. Match the numbers played to the numbers drawn for a chance to win over $1,000,000 for just $1, or play Keno Mega Millions (QLD, NSW, ACT, VIC) for your chance to win $5,000,000 for just $2!